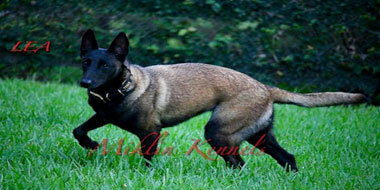 Lea is one of the most focused dogs I have seen, bonds so close with her handler and family, has a beautiful structure. We have had a litter with Lea and the puppies were incredible. 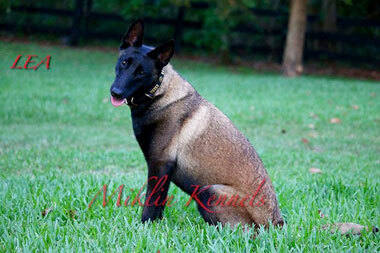 We plan to repeat the breeding with Miklins Bo later. 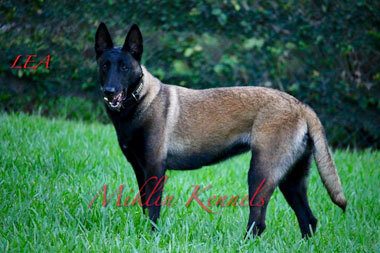 Lea produces dark sable puppies with social temperament and high prey and toy drive.